1973 MERCEDES 250/8 AUTO Finished in immaculate Terracotta Red with unmarked light Tan MB TEX. The car was supplied New by Bargate Motors Boston and serviced by them 11 times, the last at 54,000 miles the car has now only done 59,000 miles. 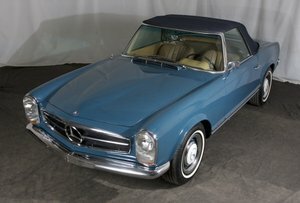 Owned by the 1st owner from 1973 to 2017, being the later 250/8 it has the later and far superior 2.8 engine. Very hard to find a better one don't miss this one if you are looking for the best. 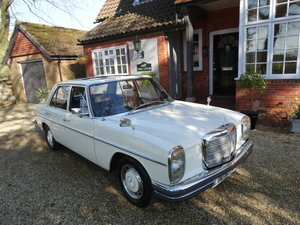 For further photos of this stunning Mercedes 250/8 and to see the other cars we have for sale, please visit our website of www.kimcairnsclassics.co.uk We offer FREE delivery to England, Wales or any UK Port.